This cheery yellow spice—it's been called a poor man's saffron and is the ingredient behind many curry dishes' bright hue—has long been the darling of the Ayurvedic medicine world. Indeed, Dr. Oz says research shows that turmeric may help prevent the accumulation of plaques that build up in the brains of Alzheimer's patients and that can interfere with communication between neurons. 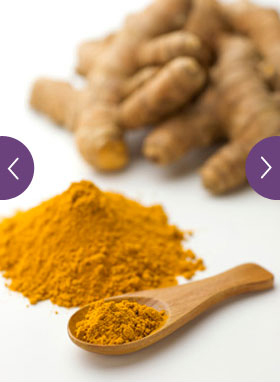 Aside from the health benefits, turmeric has a fantastic, earthy flavor, akin to that of horseradish or mustard. It pairs nicely with salty foods (try stirring it into peanut butter and using it as a dip with pretzels for a savory snack), though many other dishes can benefit from it too. Chef Joe Dobias puts it in Yellow Horseradish, which he serves alongside a French dip sandwich, and chef Haim Ben-Simon incorporates it into his simple Mediterranean Rice. Here's a simple side dish from Chef Haim Ben-Simon of The Hummus & Pita Co. in New York City. Turmeric gives the rice its yellow color. In a pot, combine the water with the oil, salt, pepper, bouillon cube and a few pinches of turmeric and bring to a boil on the stove. In the meantime, put the rice in a colander and rinse it well with hot water until the water that drains out is completely clear. Add the clean rice to the pot of boiling spiced water and cover it with a tight-fitting lid. Cook the rice on the lowest flame possible until all of the water has evaporated. After the rice has absorbed all the moisture, place a paper towel in between the lid and the pot and let it stand (covered) for 10 minutes. Serve. This recipe is part of an article on new, easy ways to spice up your dinner. Most Westerners are used to Saigon cinnamon (also called cassia), which has the hot-sweet flavor that John Beaver, co-owner of Oaktown Spice Shop in Oakland, California, compares to Big Red chewing gum or Atomic Fireballs. But there is actually a wide range of cinnamon available, and one that Beaver's most excited about right now is Ceylon. 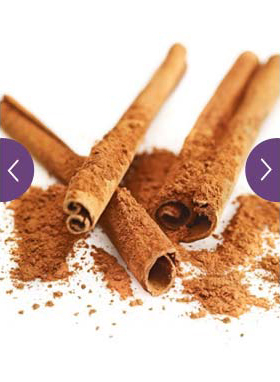 Its aroma is zesty (think orange pekoe tea), and it has a lighter, less-sweet taste than Saigon cinnamon. Next time you're baking, use it in place of your usual cinnamon. You'll find the ingredient plays more of a supporting role than a dominating one, letting other flavors emerge, such as nuts, chocolate or other spices. Or try it in Black Plum Stew, which chefs Eduard Frauneder and Wolfgang Ban serve alongside caramelized pancakes; or in chef Haim Ben-Simon's unique spin on rugelach. Chef Haim Ben-Simon of The Hummus & Pita Co. in New York City says you can use apricot or strawberry jam to make these treats. To make the dough, mix the cream cheese into the butter in an electric mixer and whip until thoroughly incorporated. Add salt and flour and mix again to incorporate. Spoon the dought onto a sheet of plastic wrap and shape into a square. Refrigerate for at least one day and up to 5. In a small bowl, mix the walnuts, 2 cups sugar, 1 tablespoon of the cinnamon and raisins. Sprinkle this mixture all over the jam-covered dough. Roll the dough into a log, starting on one of the longer sides so that you end up with an even, long log of dough. Brush with an eggwash mixture (the egg white mixed with a little water). Sprinkle with the remaining sugar and cinnamon. With a sharp knife, cut 2-inch pieces down the length of the dough until all of the cookies have been cut. Lay onto a baking sheet and bake for 30 to 35 minutes.